Vegas Palms is one of the very best looking online casinos available to players in New Zealand, but is it all show, or does it back up these good looks with a fantastic user experience? The answer is most certainly the latter, and this is for many different reasons – all of which can be found when you read through this comprehensive Vegas Palms online casino review. If you’'e looked through this site before, you'll know that we produce many detailed reviews on the best – and sometimes the worst – online casinos in New Zealand. All of our reviews, including this Vegas Palms casino review, are designed for one reason, and one reason only&colon; to give you a comprehensive rundown of all features, before you decide whether to sign up with them or not. From the results above, there can be no arguing with the fact that Vegas Palms is a great place to play, and this is for many different reasons. If you like what you read in this Vegas Palms online casino review, why not head to the site and sign up today? It will come as no great surprise to more experienced online casino players to find that it's possible to both download this casino and play it online using the Flash based site. For newer players, this essentially means that you can download software to your computer and have the suite of games on your desktop, or alternatively head to the site via your browser and play, without needing to download. You will need to have Flash Player installed if you choose the second option though. As seems to be the case with the majority of the best online casinos in New Zealand, all of the software comes from Microgaming. This means two things: it is incredibly safe to use, and it gives all players the chance to play some of the world's best online casino games. Knowing that you are safe when playing at an online casino is absolutely vital and, as you’ll see in this Vegas Palms casino review, you'll be totally safe when you play at this casino. This safety is assured in many ways, however the most important is the fact that they are certified by eCOGRA. But what does this mean? Well, it means that all of their games have been tested, and eCOGRA have concluded that are completely random. The regulation from the Malta Gaming Authority also contributes towards the safety at this site, as does the use of secure encryption. We've looked at every aspect of security in this Vegas Palms review, and can’t find anything for you to be concerned about. Are you looking for a site that offers many different banking options, and not just the more commonly found ones at online casinos? If so, Vegas Palms could be a great choice. This is because they offer everything from credit/debit card through to Citadel as depositing options to their players, as well as pretty much everything in between. What’s more, these methods don’t have any charges attached to them, meaning that you can keep all of your money to spend on the games on the site. There aren’t anywhere near as many options for withdrawals, however there are still enough to satisfy most players, and, once again, there are no charges. So, overall, the banking process at Vegas Palms is a pretty good one. The first thing to say about the games at Vegas Palms is also the most important&colon; they all come from Microgaming. For newer online casino players, Microgaming are the biggest name in the world of online casino games, and have the largest selection of games around. This means that all players at Vegas Palms will be able to play hundreds of slots, as well as a fantastic selection of video poker games and table games. 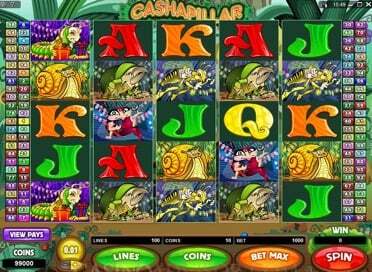 These games include some of the biggest titles in the online casino world, such as Jurassic Park, Game of Thrones and Mega Moolah. 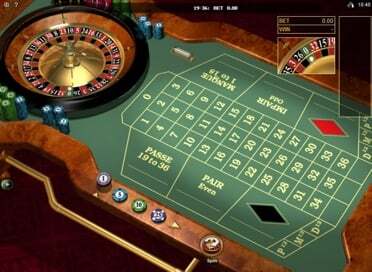 There is also a live dealer casino at Vegas Palms, which features roulette, baccarat and blackjack, plus all players can access many of the games using their mobile, as you'll see in the Vegas Palms mobile casino review further down this page. If you need to contact customer services when playing at Vegas Palms, you certainly won’t be short of options. In fact, we've not seen an online casino with a bigger range of support options for players in New Zealand, and this can only be regarded as a good thing. Most will choose to use the live chat feature, or phone or email the site. Some will be excited to see some contact options that aren’t found at many other online casinos though, and these are Skype, iMessage and Whatsapp. They don't simply offer loads of contact options though, as they also ensure that they are staffed by incredibly helpful and knowledgeable customer support representatives. When everything is combined, there’s no doubting that Vegas Palms offers some of the best customer support around! You'll have to be quick when it comes to your free spins though, as they will only be available for seven days after depositing. 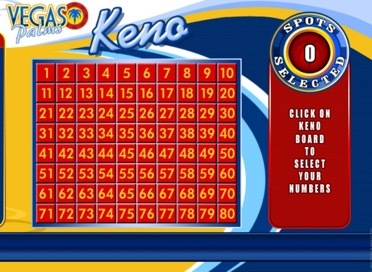 You should enjoy using them, as the slots chosen by Vegas Palms, particularly Game of Thrones, are very good ones. The other promotions at the site aren't all that impressive though. Many other online casinos in New Zealand have loads of bonuses running at the same time, however Vegas Palms only generally has a single bonus, as well as the loyalty scheme. So, if you're a fan of bonuses, there might be better online casinos out there for you. Nowadays, it is nearly as common to see people playing at online casinos using a mobile as it is to see them using a desktop, and this means that it's never been more important for an online casino to offer a great mobile site. But have Vegas Palms managed to do this? The answer is that they certainly have, and that all types of mobile devices can be used at this site. The first type of device to mention in this Vegas Palms mobile casino review is Android, and those with everything from a Samsung tablet through to an HTC phone will have no problems playing at this site. Apple players don't have to worry though, as they are equally as well served as Android players at Vegas Palms. As with Android players, those with an iOS device can head to the Vegas Palms mobile casino via their mobile browser, where they'll find a number of great games, all of which have been perfectly translated to their mobile form by Microgaming. There is no app for Apple players though, just as there is no app for players using any other type of mobile device. Some players in New Zealand also like to play at online casinos using a Windows Phone, however this is certainly the exception rather than the rule. All Windows Phone players can also easily play at Vegas Palms though, simply by accessing the site using their device's browser, and they'll be able to play exactly the same games as those with Apple and Android devices. BlackBerry users can also play at Vegas Palms, providing their phone has the capability to do so. The phones offering the best experience are undoubtedly the newer BlackBerry devices, which run on the Android operating system.